Regional: Colorado Shakespeare Festival: Richard III (Westword Denver; Best Actor), Macbeth, A Midsummer Night’s Dream; Public Theatre, Boston: Who’s Afraid of Virginia Woolf? (Eliot Norton Award Outstanding Actor), Travesties, Arcadia, and more; Oldcastle: Lion in Winter, Ride Down Mt. 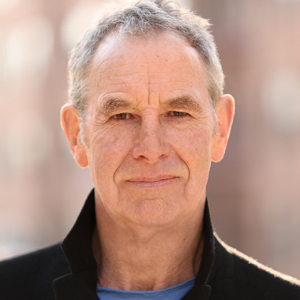 Morgan; Orlando Shakespeare Theater: Julius Caesar; Shakespeare & Company: The Tempest, Hamlet, All’s Well That Ends Well, Twelfth Night, Mother of the Maid, Women of Will (Shanghai, Prague, The Hague, Mexico); Lyric, Boston: Nicholas Nickleby (Eliot Norton Award Outstanding Actor nomination). New York: TFANA: A Doll’s House, The Father; Bedlam: Sense and Sensibility, The Seagull, Women of Will. International: Prague Shakespeare Festival: Julius Caesar, Hamlet, Women of Will. UK: Colchester Repertory: Coriolanus. Film: The Last Knights. Television: Brotherhood Seasons 2 and 3.